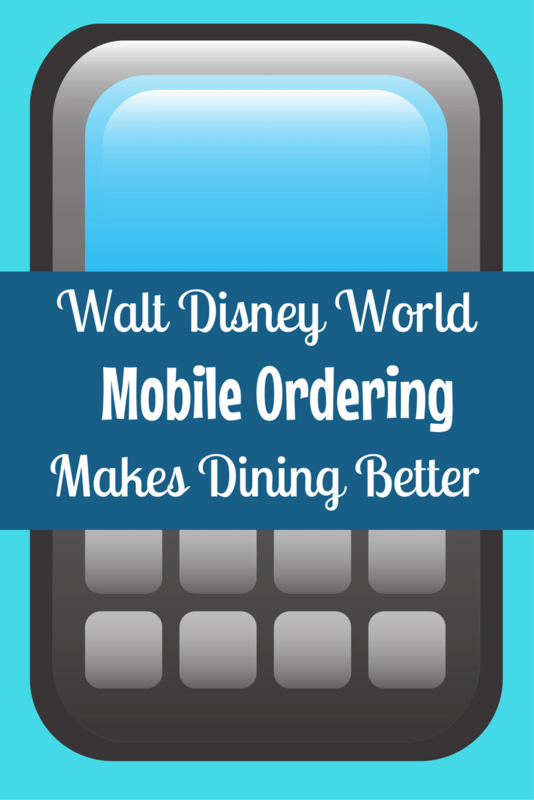 Mobile Ordering at Disney World Makes Dining Better! Guests can now select menu items, customize their order and prepay for their meal using the My Disney Experience app. When they arrive at the restaurant they tap an “I’m here” button in the app, which notifies the kitchen to prepare the meal. When the food is ready, Guests get an alert through the app so they know to pick up their order at a designated window. At this time, the only form of payment accepted is credit card and no discounts or dining plans will be able to be applied to orders submitted through Mobile Order. If you’d like to use a discount, dining plan entitlement or have special dietary requests/allergies, you should still place the order with a cashier. Beginning August 1 at Electric Umbrella and Aug 7 at Liberty Inn, Guests can select menu items, customize their order and prepay for their meal using the My Disney Experience app. When they arrive at the restaurant they tap an “I’m here” button in the app, which notifies the kitchen to prepare the meal.